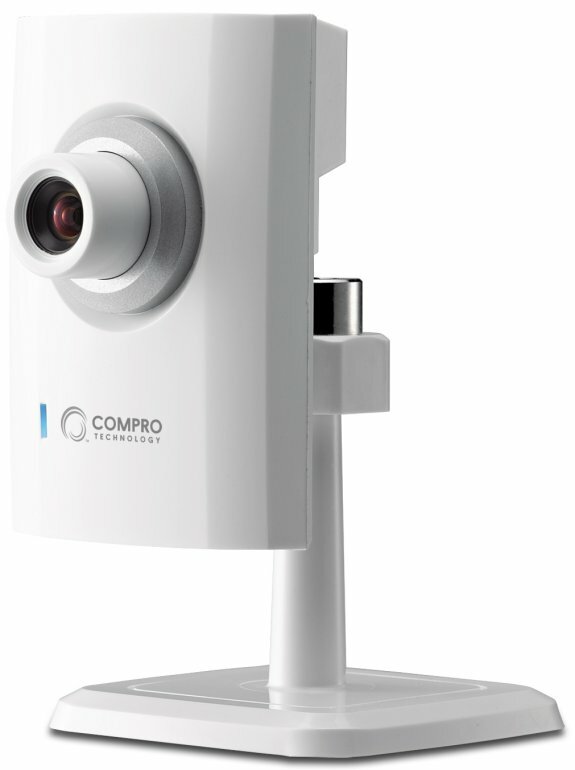 Compro introduces the CS80, a business card-sized network camera with 2MP sensor. Compro Technology, a leading manufacturer of IP video security products, announces the world’s smallest 2-megapixel cube network camera - Compro CS80. Smallest of its class, Compro CS80 is the ultra-compact, name card size network camera expressly designed to provide an easy-to-use and stylish video surveillance solution for home owners and small businesses. Compro CS80 network camera is embedded with a 2-megapixel CMOS image sensor, and can capture clear and vibrant video at up to 1600 by 1200 resolution at 15 FPS. To reduce bandwidth requirement and accommodate different recording and monitoring needs, CS80 utilizes the highly efficient H.264 video compression technology and supports dual video streaming. The lens on CS80 can be manually adjusted for focus and video sharpness based on user needs. Moreover, a 10x digital zoom feature is available to let users zoom into details in the live video when needed. Compro CS80 not only is the world’s smallest 2-megapixel cube network camera, but also has a stylish design, allowing it to fit in nicely with any home or office. The width and height of the camera body are about the same as a name card. The small size means CS80 is ideal for deployment in homes, restaurants, small offices, retail shops, or any place where space is a concern. Even at this small size, Compro CS80 still captures clear and vivid video. In addition, installation and remote monitoring setup on CS80 are easy and effortless. The camera offers a plug-n-play style installation, with no router configuration required for viewing camera over the Internet. The camera also provides a full-fledged smartphone app that lets user securely view and manage multiple cameras over the Internet. Other features provided on Compro CS80 cube network camera include progressive scan technology, motion detection, real-time SMS and Email alert messaging, built-in microphone, and a user-friendly designed mounting bracket. CS80 also includes a USB socket for wireless connectivity through an optional Compro USB wireless adapter. Moreover, this new camera is fully supported by Compro’s Embedded Linux network video recorders.